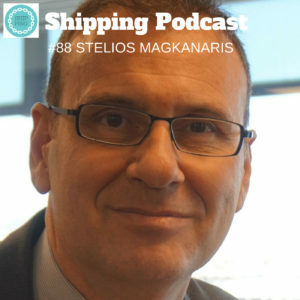 Meet Stelios Magkanaris, a Fellow of the Association of Average Adjusters, who is a Marine Claims Adjuster of the Piraeus Team of The Swedish Club, which is a marine insurance company. Stelios shares his experiences from having worked with marine casualties for a very long time, after having been brought up in a shipping family. It’s easy to sense his passion for the maritime industry and the marine insurance profession, where he is a stalwart member of the team. I hope that this episode will inspire you to look further into marine insurance, there are so many different aspects of the maritime industry where a ship is in distress and there are so many different occupations that people hold when focusing on marine insurance. Thank you for downloading, listening and talking to your friends about what Stelios and I discussed.